Manufactured for the "Gables Estates" exclusive Arvida home in Coral gables, The Mahogany arched Window is an exercise of fine craftsmanship and structural architectural perfection. Manufactured with 1/2" laminated impact glass or with 1" insulated laminated Glass, the Arvida Double casement, Mahogany Window is operated with 2 solid stainless steel handles that activates a 3 point hidden locking Mechanism in the active sash. A separate 2 point hidden locking mechanism in the in-active sash of the Mahogany Windows. Both sashes open completely with no mullion in the middle. The Hinges for the Mahogany Casement Windows are heavy 316 grade Stainless Steel of the GRS Lima design with no finial. Tested for forced entry, water infiltration, Impact, and Hurricane cycling to minus 90 psf. 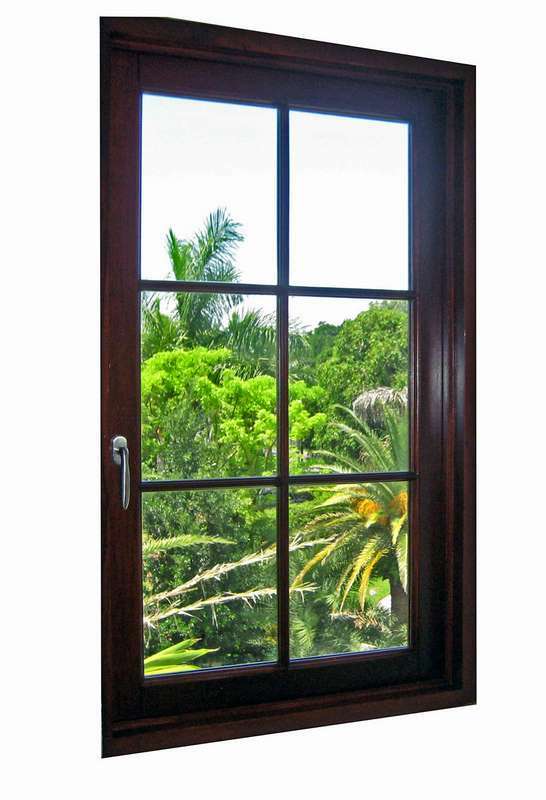 The Impact Mahogany Casement windows are rated as the strongest Wood Window in the market today.